Light and chunky anklets! A big treat for feet, right girls? Undoubtedly, such accessories make your feet look extremely beautiful. 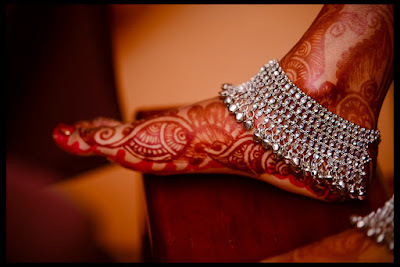 The Big Fat Indian Wedding, especially the Mehendi and Sangeet are the perfect occasions to flaunt your beautiful ankles by wearing stylish anklet patterns. Of course, those killer heels or chunky shoes are a bomb to flaunt, but why leave the ankle itself so bare? So, get ready to check out our curated list of top 15 stylish anklet patterns. Excited? Pick your favorite one and let us know how you captured the eye-balls.